The Samsung Galaxy S III 4G takes all that we loved from the original Galaxy S III and adds 4G network capability. It certainly achieves impressive, super fast data speeds on the Telstra and Optus 4G networks and the latest software is as fast and smooth as ever. Unfortunately, all that extra speed comes at a cost of precious battery life. When Samsung launched its popular Galaxy S III Android smartphone in Australia back in May, the company said it was "confident" the lack of a 4G model wouldn't hinder sales of the 3G model. Over four months later, a 4G version of the Galaxy S III has hit Aussie shelves. The Samsung Galaxy S III 4G is certainly capable of super fast data speeds on the Telstra and Optus 4G networks, but all that extra speed comes at a cost of precious battery life. The Samsung Galaxy S III 4G is virtually identical in design to the 3G version. The Samsung Galaxy S III 4G is virtually identical in design to the regular, 3G version. The handset is just 8.6mm thick and only weighs 133g. The phone has the same Samsung Exynos quad-core processor as the 3G model, uses the same super AMOLED screen and has the same 8-megapixel camera. For full details on the design, display and camera of the Samsung Galaxy S III 4G, you can reference our review of the Galaxy S III here. The biggest change between these two models is obviously LTE 1800MHz network capability. This crucial LTE network band allows the Galaxy S III 4G to work on both the Optus and Telstra 4G networks in Australia. The only other internal change is the RAM — the Galaxy S III 4G has 2GB of RAM compared to the 1GB RAM in the regular, 3G version. The Galaxy S III 4G is virtually identical in design to the regular, 3G version. If you're looking for other differences between the two S III variants they're aren't too many. 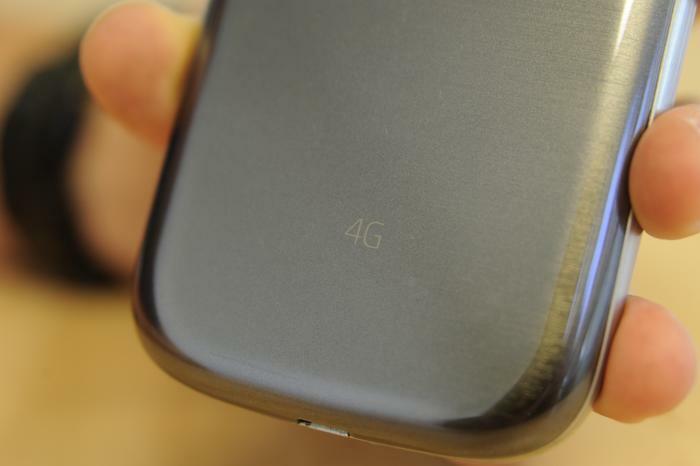 The only aesthetic changes between the 3G and 4G models is the addition of a small '4G' logo on the back, along with the colours available. Instead of the "pearl white" and "titanium blue" 3G models, the Galaxy S III 4G is only available in "onyx black" and "titanium gray" variants. Optus sells the titanium grey model only, while Telstra stocks both colours. We tested the titanium grey model and found the finish attractive, but the glossy surface is hard to keep free of fingerprints and marks during regular use. Perhaps the best feature of the Samsung Galaxy S III 4G is the fact it ships out of the box with the latest version of Google's Android operating system, 4.1 Jelly Bean. It once again includes Samsung's TouchWIZ UI overlay on top which brings a wealth of useful and some not so useful features. 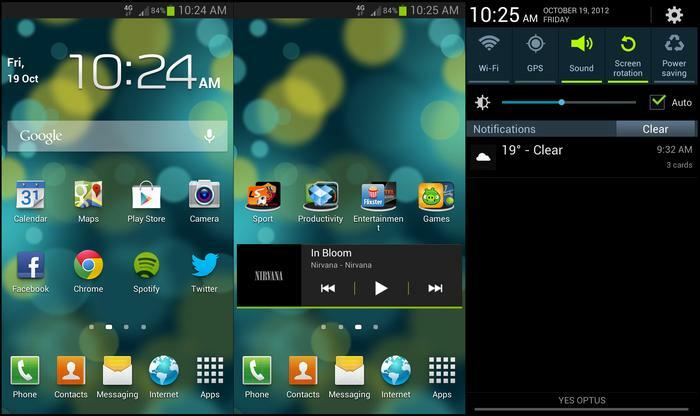 For an overview of all of TouchWIZ's features, you can once again reference our Galaxy S III review. The Samsung Galaxy S III 4G simply feels smooth and polished. 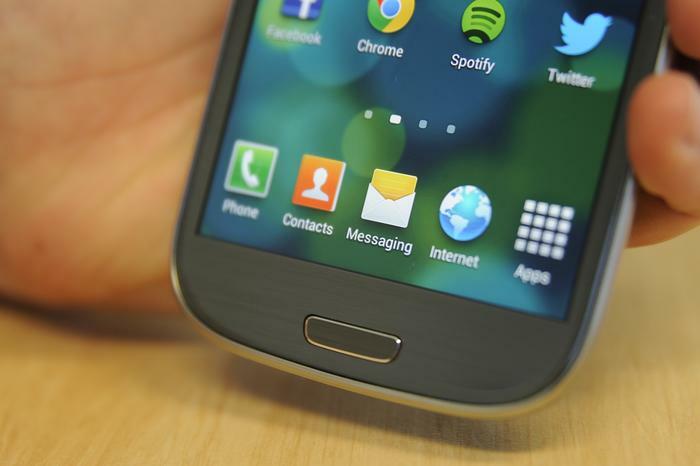 The Galaxy S III 4G is one of the fastest and most responsive Android phones we've ever used. There is, however, a difference you'll immediately notice on the Galaxy S III 4G. It is one of the fastest and most responsive Android phones we've ever used. Just like the Galaxy Note II, from the moment you take it out of the box and turn it on you'll be impressed with how smooth and fluid it is. We suspect that Google's Jelly Bean 4.1 Android software has a lot to do with this but Samsung also deserves plenty of credit for managing to include the TouchWIZ UI overlay without affecting responsiveness. Whether its swiping between home screens, opening apps, playing games or using the camera, the Galaxy S III 4G is noticeably faster than the original 3G model. While these are only small improvements over what was already an impressive device, the Galaxy S III 4G simply feels smooth and polished, a tag we usually reserve for Apple's iPhone or slick Windows Phone devices. The inability to edit the home screen dock icons is a real annoyance. There are a couple of new software features, too. There's now a brightness adjustment slider in the notifications drop down complete with the ability to toggle automatic brightness. There's also a Blocking Mode, which is much the same as the "do not disturb" feature on Apple's iPhone, allowing you to disable notifications at preset time periods. One unexplainable issue is the fact that you can no longer edit the default icons on the home screen dock. Preset to phone, contacts, messaging and internet apps, these icons can't be removed or changed with any other apps, a hugely annoying oversight. Samsung still hasn't managed to fix the lock screen delay, either. Like most of the company's other Android phones, we often experienced a 1-2 second delay when pressing the power or home button to wake the screen from sleep, especially if we hadn't used the phone for an extended time period. We regularly had to charge our review unit well before the end of the day. 4G is obviously the crowning feature of the Galaxy S III 4G. Coverage is still fairly limited at the time of writing but when you are in an area serviced by LTE with the Galaxy S III 4G you're in for a treat. 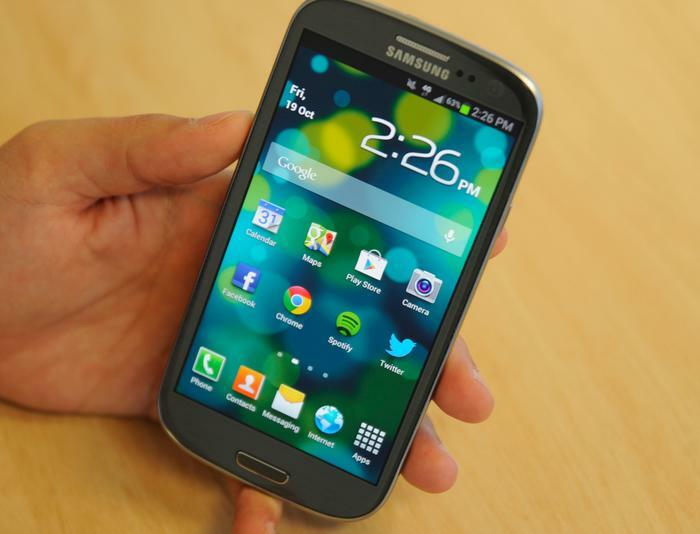 We tested the Galaxy S III 4G with both Optus and Telstra SIMs. We managed to achieve download speeds of up 38 megabits per second (Mbps) on Telstra and up to 39Mbps on Optus when 4G was available. Keep in mind, though, that the speeds you'll get will widely vary depending on location, time and network congestion. Unfortunately, those fast data speeds come at a significant cost of battery life. We regularly had to charge our review unit well before the end of the day, often achieving only eight to nine hours of battery life before the phone needed to be recharged. We found an average of around 12 hours use the norm with the 3G model, so this is a significant downgrade. Obviously your battery life experience will vary depending on your usage patterns, your location and the signal strength of your carrier's mobile connection (especially when in a 4G area), but it was certainly very disappointing for us. We suspect part of the problem is the battery itself: the Samsung Galaxy S III 4G has the same sized 2100mAh battery as the 3G version and LTE is known to drain battery much faster than 3G network connectivity. 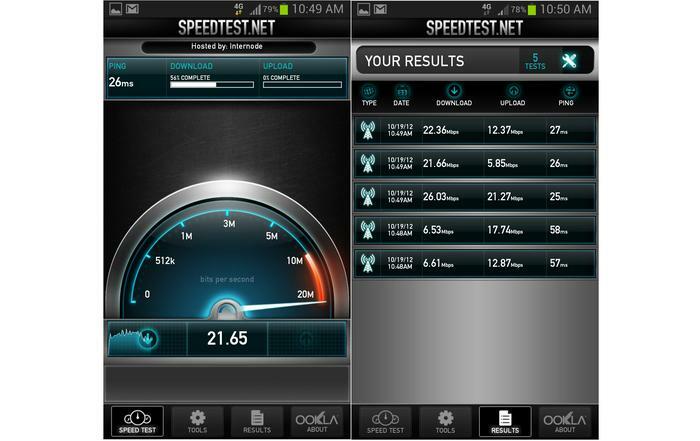 Some speed tests we ran on the Samsung Galaxy S III 4G. The Samsung Galaxy S III 4G is available now. Optus sells the titanium grey model while Telstra stocks both the grey and black variants. 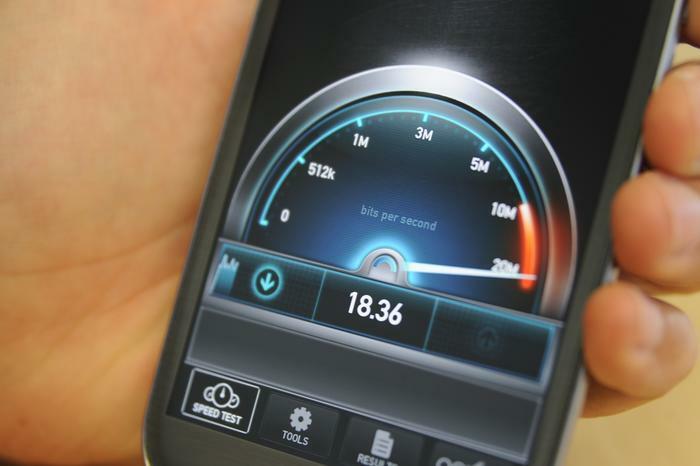 • How fast is the Samsung Galaxy S III 4G on Optus?